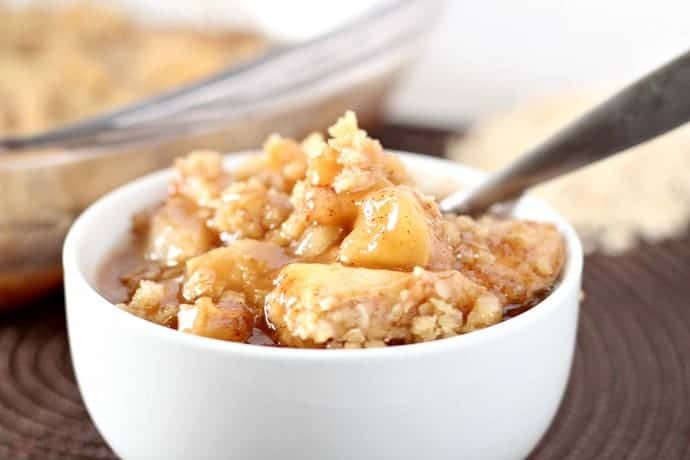 Warm, sticky apples covered with a delicious crumble, this Easy Apple Cobbler is the perfect fall dessert! 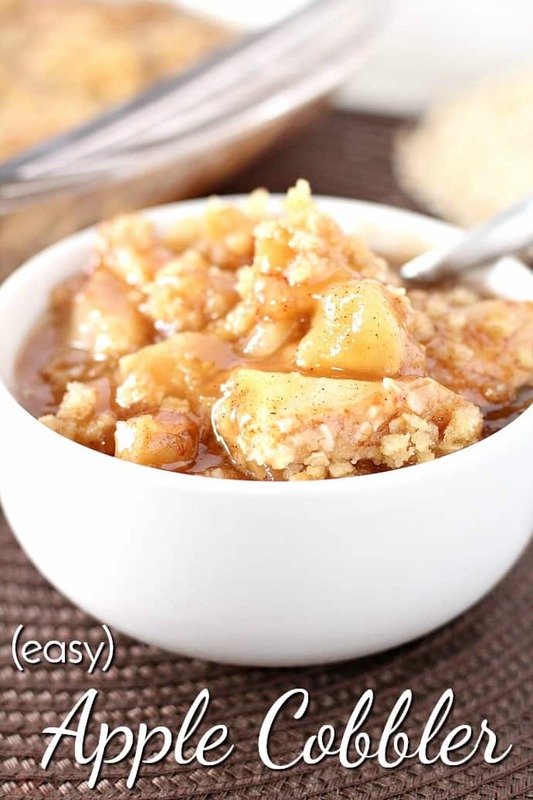 Growing up, my mom used to make this Easy Apple Cobbler all the time. I am a PK (pastor’s kid), so that meant that we had families over to our house after church services all the time. I loved it! We got to stay up late and play with the kids and there were always yummy snacks. Sometimes they invited people without any kids and that was a bummer, but we still had dessert! 🙂 You could say my love of sweets began early. My mom put this recipe in one of our little church cookbooks. I really love flipping through old cookbooks like that for ideas when I get stuck in a meal planning rut. Plus, I find unusual recipes like Mystery Pie and Pineapple Pie. Say what you will, we Baptists love good food! 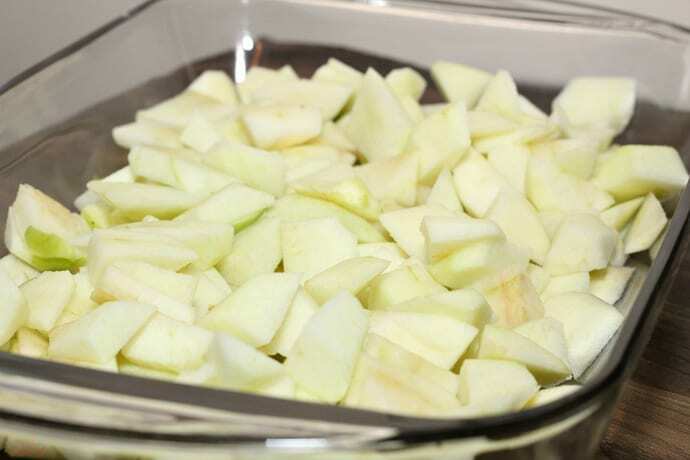 Start with peeling and slicing 6-8 Granny Smith Apples. 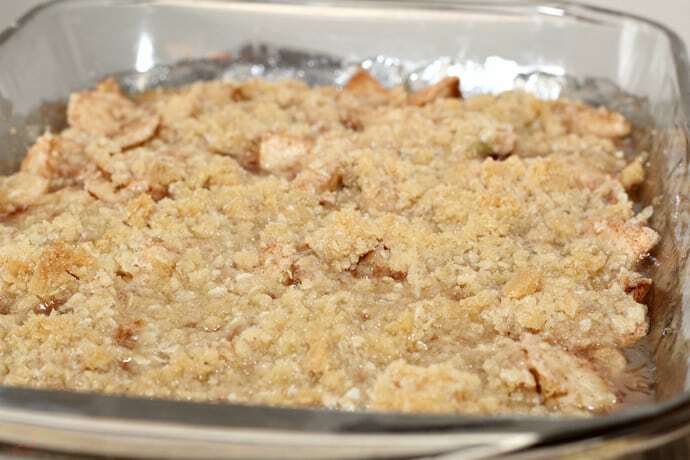 You can cram more in there if you want to make the cobbler a bit larger. 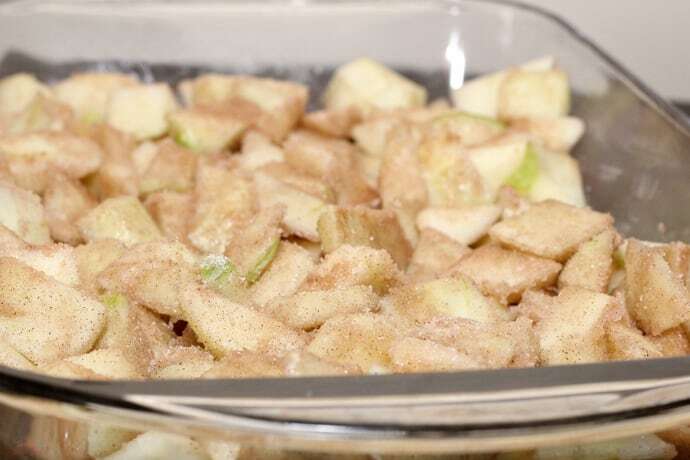 Coat the apple slices in corn starch, sugar and cinnamon. 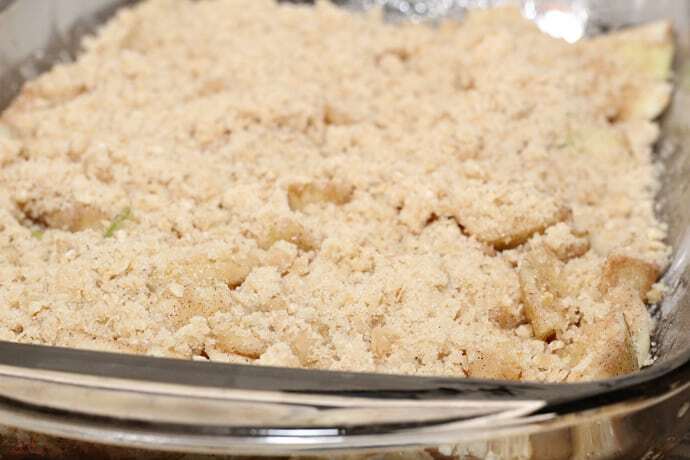 Mix the crumbly topping roughly and cover the apple slices. Bake until golden and bubbly! I like to scoop it into bowls and serve it with vanilla ice cream. There’s something so good about cold ice cream melting all over hot dessert! If you don’t have ice cream, whipped cream is almost as yummy. 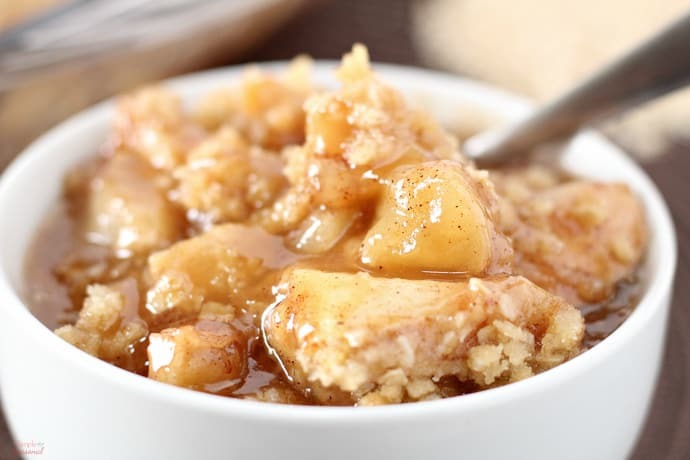 Mix the apple slices, cornstarch, sugar and cinnamon. Place in a 9x9 baking pan. 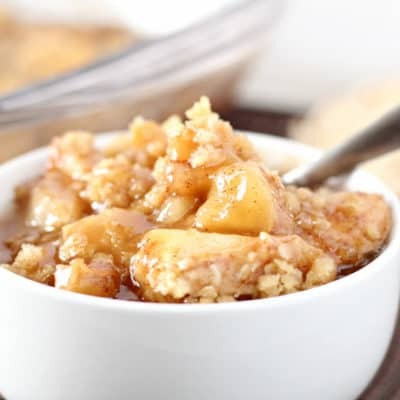 In a separate bowl, mix together the topping ingredients, cutting in the butter to create a crumbly topping. 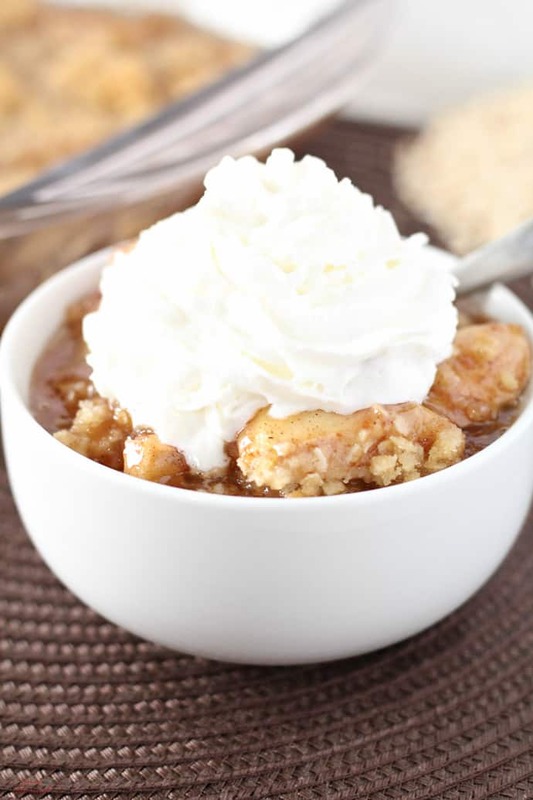 Top with vanilla ice cream, caramel sauce or whipped cream. Serve warm. 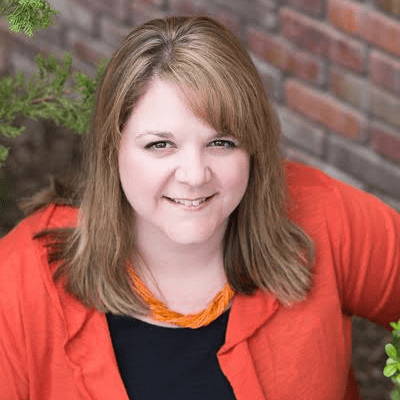 Check out the other posts in my Church Cookbook Series: Sour Cream Enchiladas, White Corn Salad, Cool Veggie Pizza, Church Windows and more! 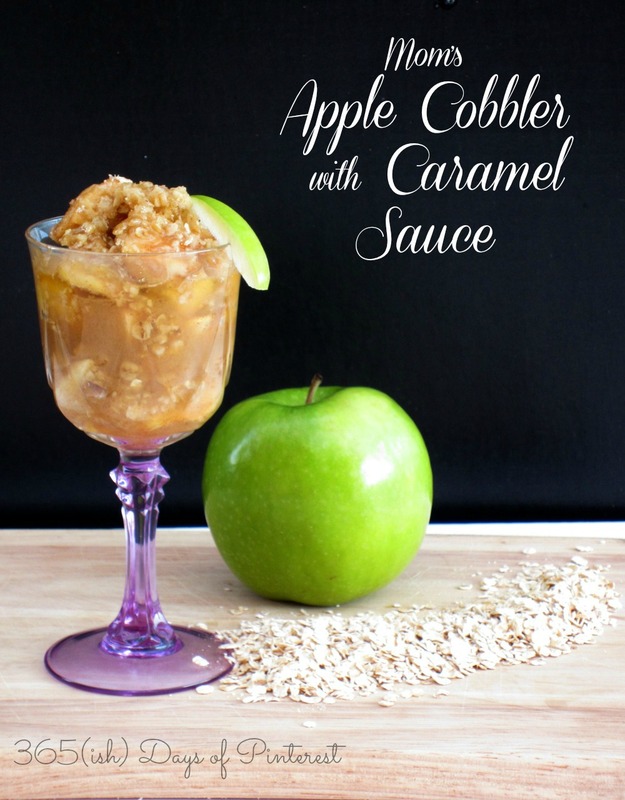 Thank you so much for sharing your recipe Nicole on The Best Blog Recipes Blogger Gallery! We’ve posted it on our site, Pinned it & also shared on our Google+ page!